Thank you for the quality news. I loving having access to the print edition of the Post in this format — being able to read the WP as a paper newspaper on my iPad is far-and-away my preference. 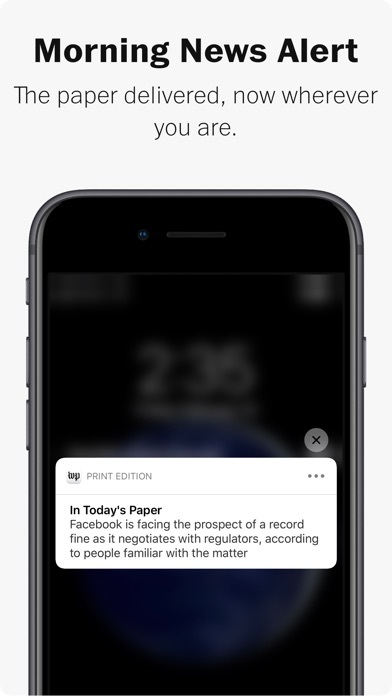 What I’d actually like to do — and what this app seems designed to let me do — is *navigate* the WP like a paper newspaper, but read the articles themselves as if I’d clicked on them from within the digital app. 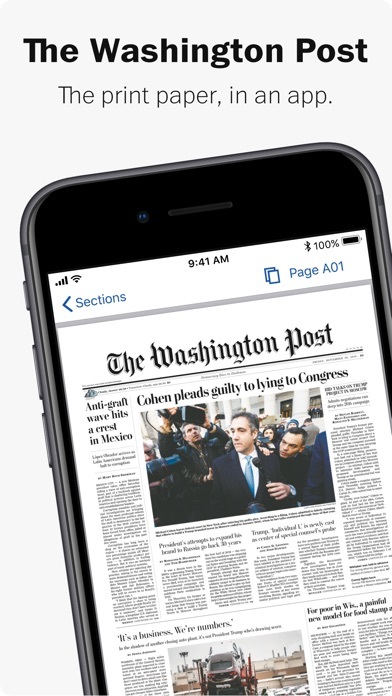 But when you open an article that way as a subscriber from within the print app, there’s an unnecessary and entirely distracting banner ad permanently fixed on the bottom of the screen: THANK YOU FOR READING THE WASHINGTON POST. 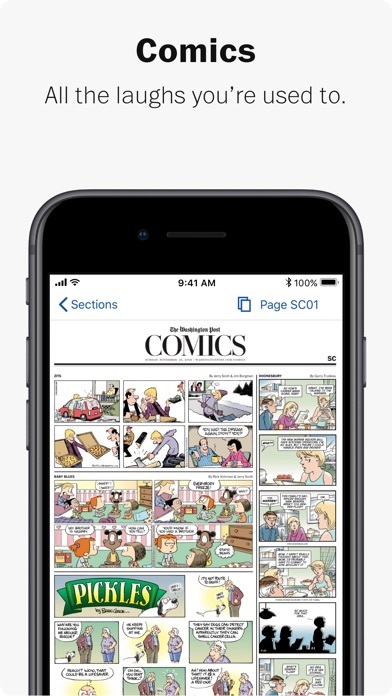 (It’s where an actual ad would go if I wasn’t a subscriber.) 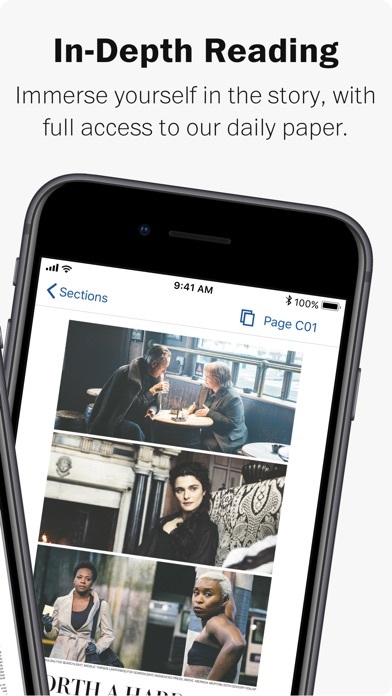 When you read articles online, or from within the digital app, there’s no distracting banner like that. This is such an awful design that I spent two weeks going back and forth with WP’s tech support, who assumed that the banner was supposed to disappear when subscribers are logged in — two weeks of IP trying to get the banner to disappear (they assumed the print app wasn’t recognizing that I was logged in) before they realized it’s just an terribly designed reading experience. Please fix it. 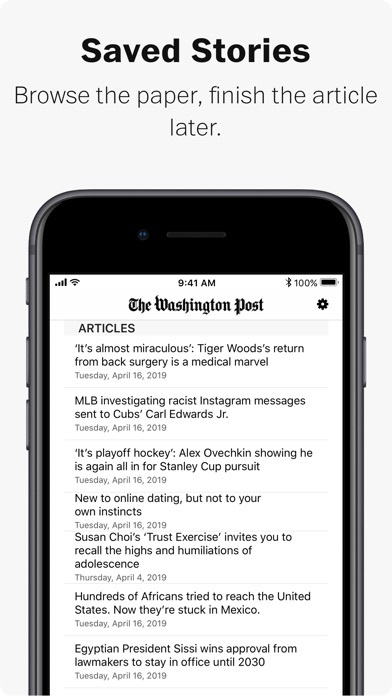 Subscriber to Washington Post and I have an open ticket for over one week, that this version of the Post App, and the versions for OVER 1 WEEK have crashed EVERY SINGLE TIME I try and start the app. 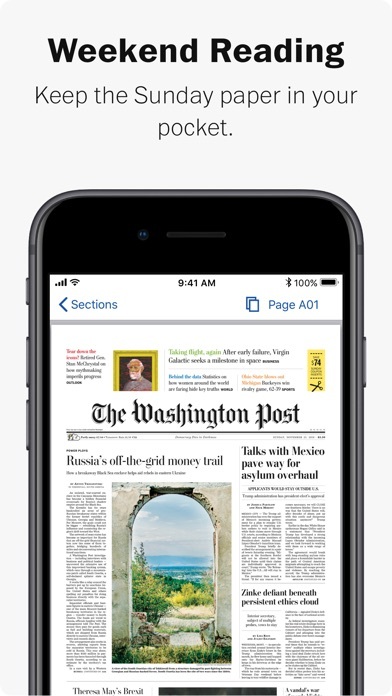 Or go to the Print Edition from the other Wash Post apps. 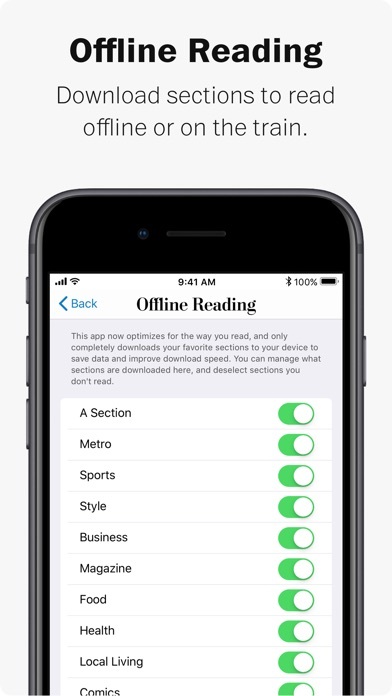 There is content that is only available in the print edition of the app that I (used to) read regularly that I can to access any more. I’d rate this 0 stars if I could right now. I enjoy the on-line Selected topics are very good. The digital version of the WP is good. Opens to a blank screen and then closes. App crashes on start since update a few days ago. Never see the content. Original iPad Air, latest iOS. 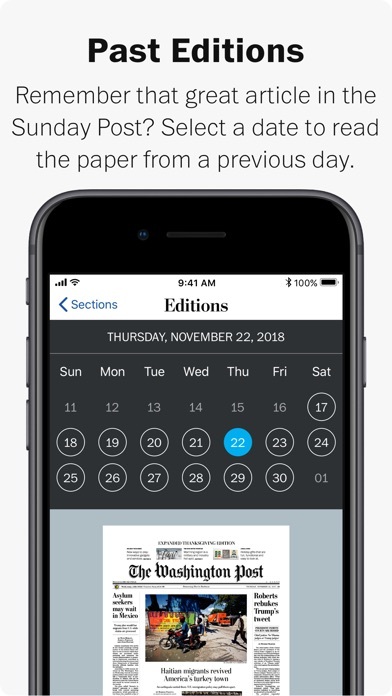 It works effortlessly and, like the printed paper, includes stories you won’t see in the on-line version. I also like the home town feel of seeing the print version even when I am far away from home.